Their cages can be left thousands of kilometres behind, but decades of pain and suffering are harder to erase. The rehabilitation of a bear is a long and very individual process, but there are five steps each bear must pass on their personal journey to recovery. When the vet team believes they are ready, rescued bears will receive full health checks and any medical procedures they require. This might include the removal of their gall bladder if significantly damaged by bile extraction. 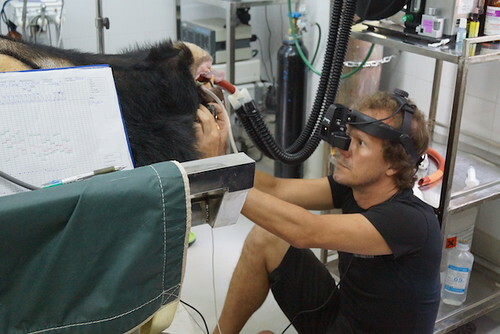 For many bears rescued from the bile industry it will include extensive dental surgery to remove damaged teeth from a lifetime of poor diet and vain attempts to chew their way to freedom through iron bars. If painful conditions are discovered, vets will be able to improve the animal’s welfare either with surgery or medication. 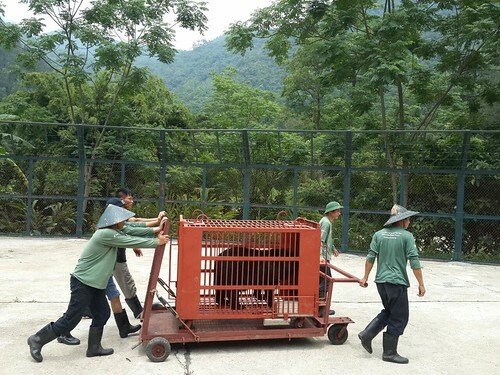 Prior to integration, sanctuary staff carefully monitor the bears for signs of stress or aggression. If there are no negative signs, then the bears will be introduced in a non-threatening environment under careful management. Long term, relationships can be extremely therapeutic for rescued bears, with many – such as Mama and Moggy or Bonny and Prince – forming strong, life-long bonds. 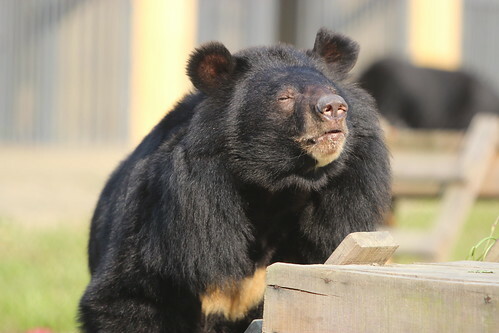 Over time, rescued bears come to realise that their new good life is for ever and start to relax. 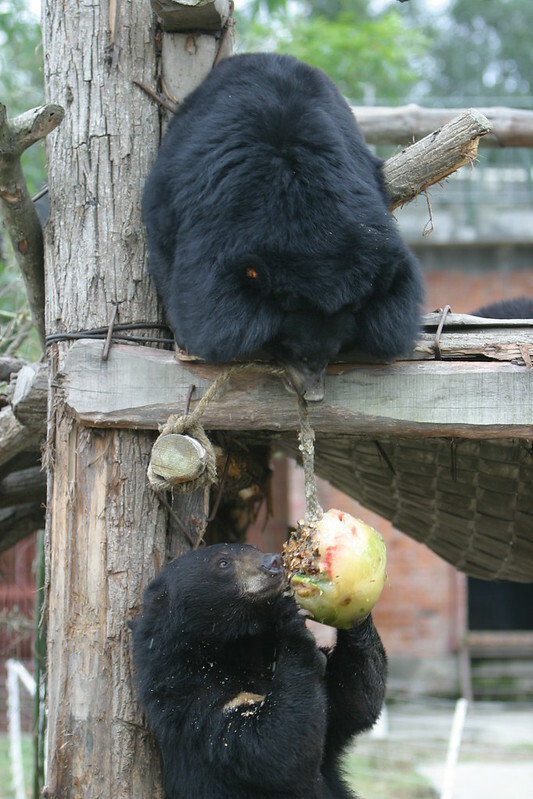 They learn to live with other bears, to trust their human carers – to forage and play and finally live the life denied them by the bear bile industry.